Stewart Parker remains one of Northern Ireland’s finest writers whose work has achieved a longevity that many of his peers have failed to emulate. Parker grew up in Sydenham, Belfast, and attended Queen’s University, Belfast in the early sixties. Here he was a member of a group of young writers that included Seamus Heaney and Paul Muldoon who sought to give voice to new perspectives and viewpoints. 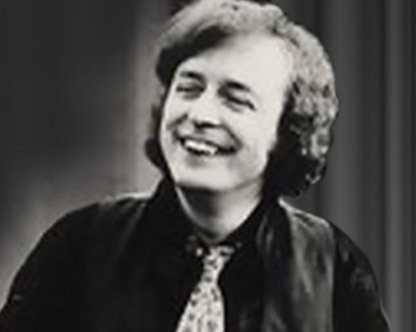 In the seventies and eighties Parker hit his creative peak with a string of important plays including Spokesong (1975), Catchpenny Twist (1977), Northern Star (1984) and Pentecost (1987). These plays have come to be regarded as central to the development of Northern Irish theatre and have been the subject of several revivals. Northern Star, in particular, is acclaimed for its depiction of the final days of Henry Joy McCracken. The piece presented here is from his unpublished novel ‘Hopdance’. Here we see Parker memorably describing the post-war Belfast of his childhood, while forensically examining the traumas and triumphs of adolescence. The complete novel will be published in its entirety in 2017 and will be edited by Marilynn Richtarik, author of the acclaimed ‘Stewart Parker – A Life’ (2012).